AIOP Response will automate this tedious task for you. Saves you time and keeps your readers engaged. WHY AUTOMATE YOUR EMAIL MARKETING? Statistics show that 80% of sales are made after the 5th contact with a prospective customer. AIOP Response will automate this tedious task for you! All successful internet businesses use autoresponders. Skyrocket your sales with AIOP Response, the professional autoresponder service. Is your audience growing? No worries about the cost, you don't have to pay more. We are here to help you grow your business. You can send 10 or 100000 emails, at no additional cost for you. AIOP Response is a cost-effective and user friendly browser based application for email marketing. 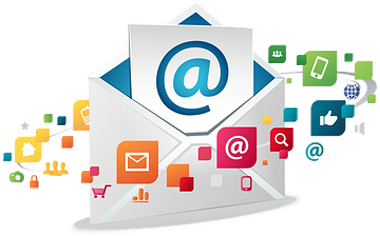 We host everything for you, you don't need to do tedious tasks of downloading and hosting your email marketing system. Create and edit Unlimited Autoresponders. Market your services and products to selected groups of customers. Automate your marketing and build relationships with your audience and customers. Create unlimited lists of subscribers, unlimited autoresponders, unlimited campaigns at no additional cost. Automatically follow up with your clients and keep them engaged. Keep your audience engaged with Newsletters and Broadcasts. Send your message right away or schedule for future broadcast. Grow your list in now time, accessing your business email marketing system on any mobile device. Easy sign up form integration with any script to support your marketing programs. The Contact Management console lets you track and test your campaigns and pages to see which one performs better, manage your active, inactive and removals lists, import lists from one campaign to an other campaign. Grow your business, build huge audience at the same price. As your list grows, your pricing stays the same every month. Choose the Basic package at $11.50 or Pro package at $21.76, you don't have to pay more no matter how big your list grows. Leverage your business potential by keeping your messages in front of the right people. 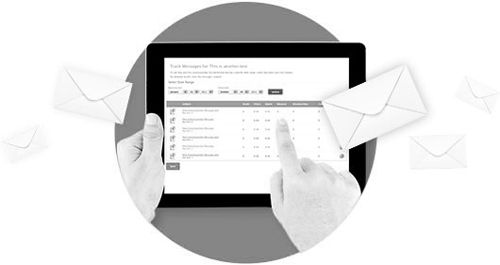 Create, Edit, Send email marketing letters literally in minutes. Run your marketing campaigns, your courses, your educational or personal development training, or whatever your business is about. AIOP Response is a professional web based email marketing software, contact management and autoresponder system that provides you all the tools you need to run effective opt in email marketing campaigns, track and split test your campaigns. We host everything for you, you don't have to worry with downloading the software or hosting issues. With AIOP Response double opt-in system you can build a Real Ouality list of audience, people who are really interested in your business. - Limited to one autoresponse message and five follow up messages and only one campaign per account. - Click here to view all features (Edit Autoresponders, Test Autore sponders, Send Broadcast, Test Newsletters,etc..
- Learn what our professional autoresponder service can do. - See how you can promote your business with AIOP Response. - Basic $11.50: Unlimited campaigns, folow ups and subscribers. © AIOP Response. All Rights Reserved.